You can access the full Hawaii Employment Law Manual (over 50 state-specific reference resources) and Employee Handbook templates (over 10 state-specific handbook policy templates) below, as well as view key state and municipal deadlines, additional state-specific resources and links to key municipal coverage. Updated to include salary history inquiry ban and wage disclosure law, effective January 1, 2019. Updated to reflect the addition of the Discussion of Wages Handbook Statement: Hawaii. Updated guidance to reflect prohibition on salary history inquiries, effective January 1, 2019. 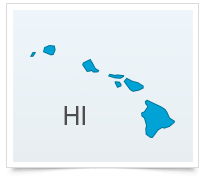 A round-up of the comprehensive state coverage XpertHR offers to help Hawaii employers ensure they are compliant with state HR and employment laws.